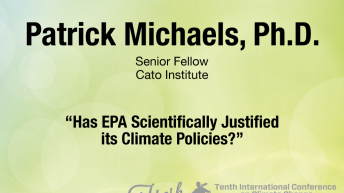 Patrick J. Michaels is the director of the Center for the Study of Science at the Cato Institute. 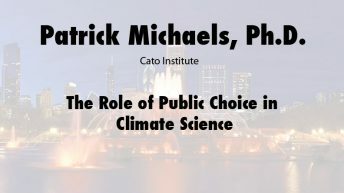 Michaels is a past president of the American Association of State Climatologists and was program chair for the Committee on Applied Climatology of the American Meteorological Society. 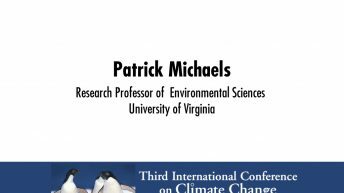 He was a research professor of Environmental Sciences at University of Virginia for thirty years. 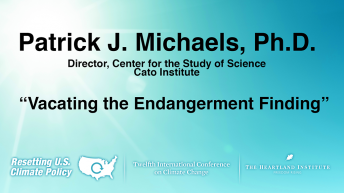 Michaels was a contributing author and is a reviewer of the United Nations Intergovernmental Panel on Climate Change, which was awarded the Nobel Peace Prize in 2007. 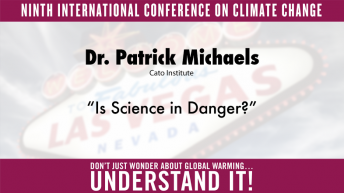 His writing has been published in the major scientific journals, including Climate Research,Climatic Change, Geophysical Research Letters, Journal of Climate,Nature, and Science, as well as in popular serials worldwide. 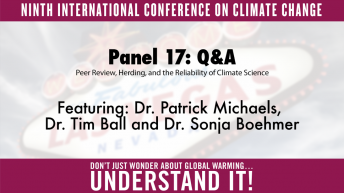 He is the author or editor of six books on climate and its impact –including his latest Lukewarming: The New Climate Science that Changes Everything (2016) – and he was an author of the climate “paper of the year” awarded by the Association of American Geographers in 2004. 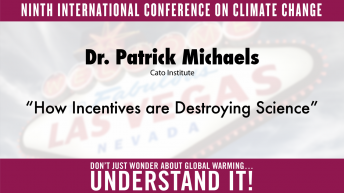 He has appeared on most of the worldwide major media. 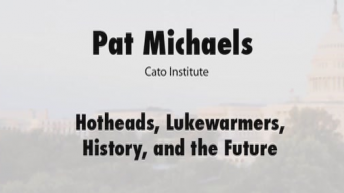 Michaels holds A.B. and S.M. 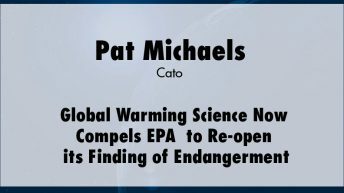 degrees in biological sciences and plant ecology from the University of Chicago, and he received a Ph.D. in ecological climatology from the University of Wisconsin at Madison in 1979.